OU's Season Opener Against Houston to Kickoff at 11 A.M.
Oklahoma football fans won't have to wait long on college football's opening Saturday for their team to hit the field. Kickoff for the Sooners' Sept. 3 season opener against the Houston Cougars in the AdvoCare Texas Kickoff at NRG Stadium in Houston is set for 11 a.m. CT. The game will be televised by ABC. OU (11-2) and Houston (13-1) posted the best combined 2015 record (24-3) of any two teams that will meet in week one this season. The matchup will be the only one on opening weekend that features two teams ranked in the top 10 of last year's final AP poll (OU was fifth, UH eighth). The Sooners advanced to the College Football Playoff while the Cougars participated in their first New Year's bowl game in 30 years, defeating No. 9 Florida State in the Chick-fil-A Peach Bowl, 38-24. 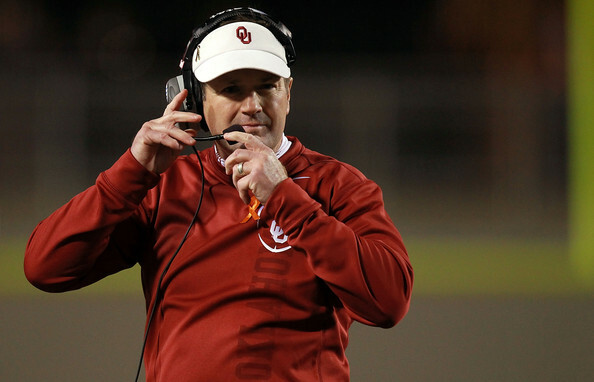 The Sooners are a consensus preseason top-10 pick, and even slotted in the No. 1 spot by Sports Illustrated. Houston is a preseason top-15 squad by multiple national outlets (No. 10 by CBSSports.com, No. 13 by SI.com, No. 14 by FoxSports.com).